It seems appropriate to post about calabrese after collards yesterday. After all both plants are forms of the wild cabbage (Brassica oleracea) selected over millennia to produce widely different crops, but all with roughly similar health benefits to us. 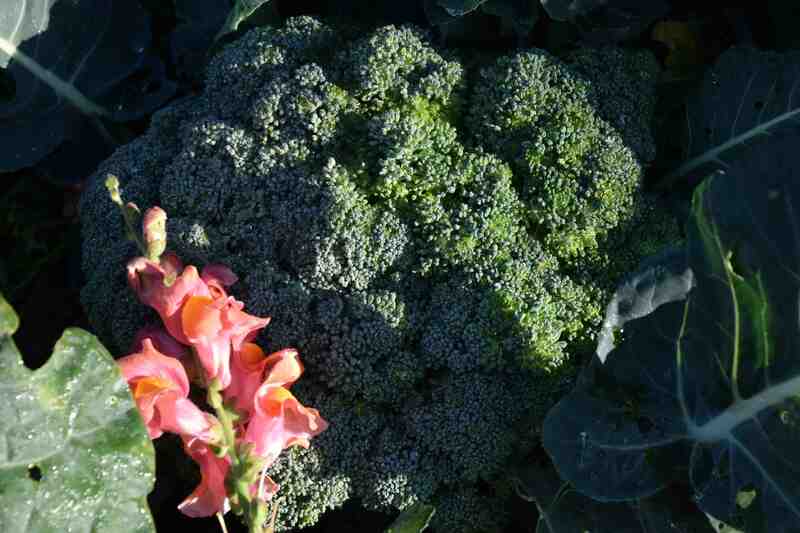 The broccolis are grown for their immature flower clusters and although the name is universally used for the green type shown here it is more accurately known as calabrese. I try to use the name where possible because sprouting broccoli which has purple or white ‘heads’ is (in most cases) a hardy plant that only crops in spring after a cold period. Calabrese is a summer veg that was developed in northern Italy (would you believe Calabria!) and will not tolerate much frost so is grown as a summer and autumn crop in cold climates. 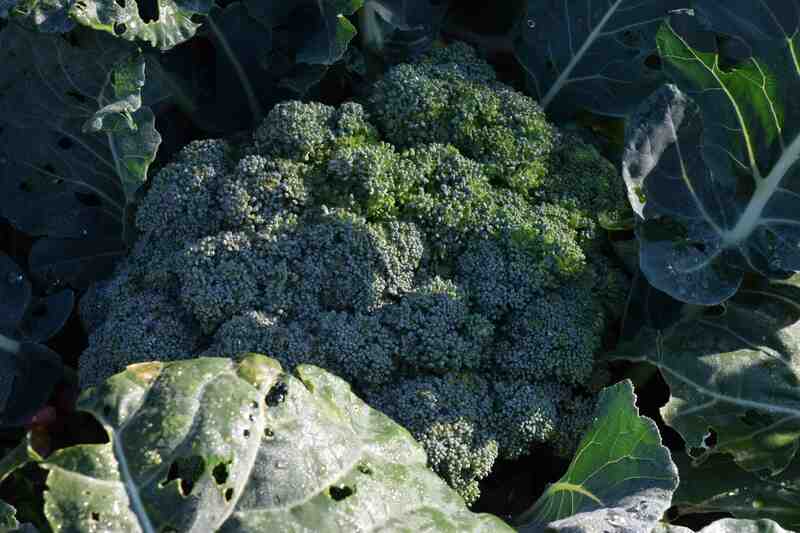 Of course all brassicas get clobbered by a host of pests but the great thing about calabrese is that it grows quickly and can often outwit the insects that are waiting for it. The only caveat I will add to this is that caterpillars often hide in the heads and only make their presence known when they float to the surface of the saucepan. You can sow the seeds, under glass, from February onwards for planting out after March and keep sowing till June for crops right into autumn. My March-sown plants have been cropping since the start of July and some of the heads have been nothing short of magnificent. Plants are compact too and can be spaced 30cm apart so this is a perfect choice for small gardens and raised beds. Even better, when you harvest the heads, if you cut them with the minimum amount of stem, you usually get two or three smaller heads a few weeks later.